A stylish look for her casual outings and beyond! 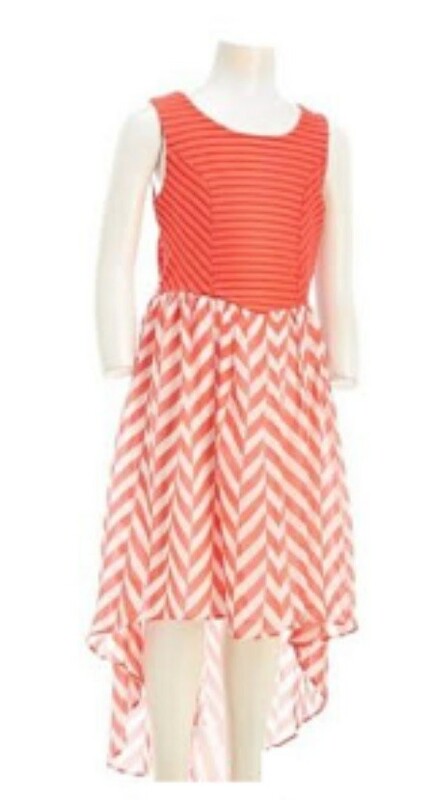 Girls hi-low maxi dress features a knit bodice with a small cut out on the back. 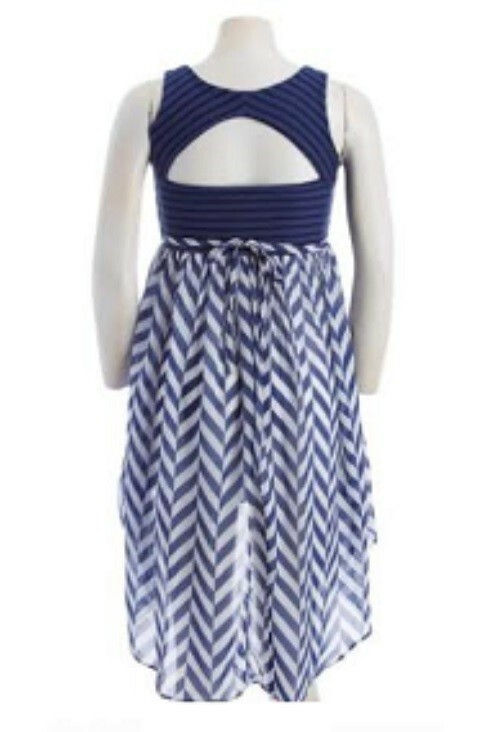 A fully lined chiffon skirt with a chevron print. Tie back and elastic waist for extra comfort. Unfortunately this is final stock... So once its gone, its gone!